Eric is an associate with the firm practising in the areas of real estate, corporate, tax, estate planning and wills. Eric also specializes in regulatory matters impacting landowners, including surface lease negotiations and annual rent reviews. Eric attended Queen’s University where he received a B.A. in Political Studies. 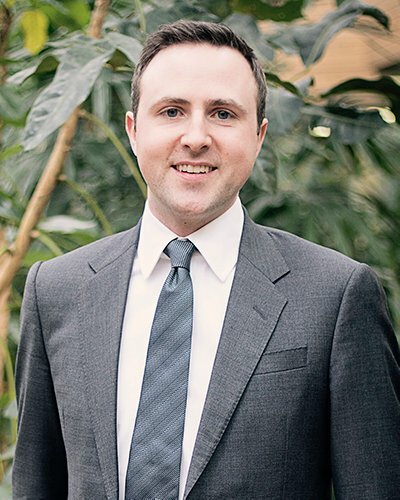 He attended the University of Calgary Faculty of Law, then articled with a national law firm in Calgary and was called to the Alberta Bar in 2016. Eric has worked in agricultural policy having served with a national organization and parliamentarians on matters important to the agricultural industry. Eric grew up on a family farm near Morden, Manitoba and currently assists with a family owned operation in Southern Alberta. He founded Alberta Young Speakers for Agriculture, a youth competition focused on communications in agriculture.